Rimfire suppressors get dirty, and they get dirty quickly. While carbon buildup on centerfire cans isn't a concern, lead accumulation on rimfire suppressors is. 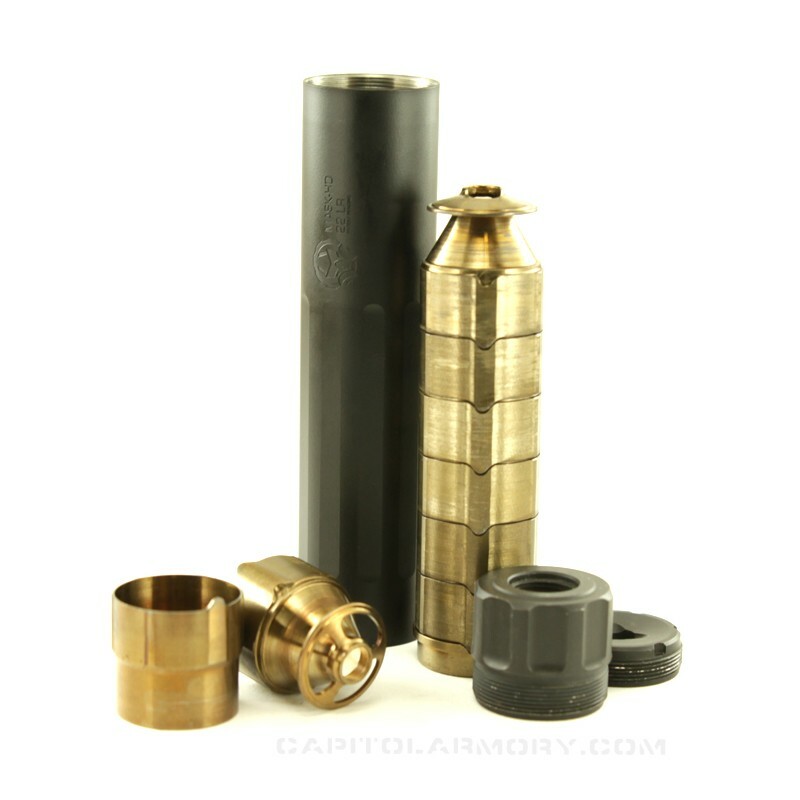 A rimfire suppressor can quickly fill with lead, increasing weight and severely decreasing performance. Eventually, enough lead can accumulate to render the silencer useless. Cleaning methods generally involve manual work with picks and solvents and can take a large amount of time to do properly. Wet tumbling and ultra-sonic cleaners can be both expensive and take up valuable space. Capitol Armory utilizes a top-tier ultra sonic for cleaning our own rimfire suppressors, and have decided to extend it's use to our clients. Cleaning will be done to a practical standard. Maintenance is not meant to make the baffles look new, but to remove the vast majority of lead accumulation and return them to a usable state. Tubes will not be externally cleaned, as the finish would be damaged by ultrasonic cleaning.